Get to the airport with time to spare and start your next holiday in a relaxed frame of mind with our affordable taxi and airport mini bus service in Bolton. 1st Choice Airport Transfers continue to excel as one of the leading taxi firms in Bolton where great service is always assured from our safe and friendly drivers. We provide round-the-clock coverage to all major UK airports to ensure you check in on time, every time. Our airport taxi service in Bolton is delivered in clean, reliable vehicles that are serviced and maintained on a regular basis for your convenience. 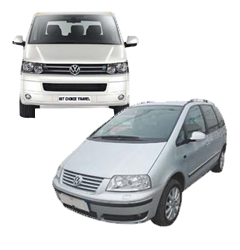 1st Choice Airport Transfers also provide private hire and taxi services for business meetings, nights out and school runs throughout the local Bolton area. Take the stress out of your holiday plans by booking your appointment in advance and enjoy the best airport car services in Bolton and beyond. Call us today and see why 1st Choice Airport Transfers are widely acclaimed as one of the premier taxi firms in Bolton.